A Mouraria property will put you in one of Lisbon’s most charming neighbourhoods with beautiful apartments, sunny alleys and plazas with small cafés. It is also the birth home of Portuguese fado music, which is still played and sung in Mouraria’s traditional fado houses. Mouraria property and villas in are generally traditional. 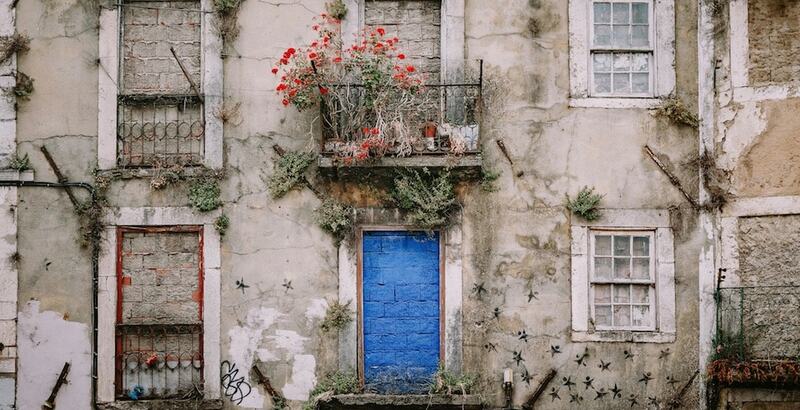 You can find a cute apartment by an alley decorated by flowers, a small townhouse by one of Mouraria’s squares – or even a historical mansion. Mouraria is a sought after location among international investors. This is due to the neighbourhood’s laid-back atmosphere and beauty, but also due to the central location. Everything in central Lisbon is within walking distance from Mouraria, from miradouro viewpoints to excellent restaurants and high end shopping. Moreover, there are benefits for foreign investors and home buyers in Portugal. The NHR (non habitual residence) tax benefit programme is aimed for EU nationals, and has made Lisbon popular among French, Swedish, Belgian and German and other European citizens. Non EU-nationals that invest a minimum of €500,000 in property can apply for a so-called ‘Golden Visa’. If you want to invest in a Mouraria property, you can expect average prices of Average price per sqm. in Mouraria €4,780 1% properties#: 43 last change on: 19 Apr 2019 €4,780 per sq. meter for apartments in Mouraria, while it cost an average of Average price per sqm. in Mouraria €6,647 0% properties#: 21 last change on: 19 Apr 2019 €6,647 per sq. meter for investments. The most renowned real estate agents operating in Mouraria are RE/MAX, with more than 35 listings. It is followed by ERA, Bolsa do Investador, Century 21 and finally IAD Portugal. Mouraria’s charm is based on many factors: besides the excellent location and the area’s history, it is also an excellent choice due to the services and facilities available. The São José hospital is right next to Mouraria, and there are several private clinics nearby. A new health centre was opened in the neighbouring Martim Moniz area, which also serves Mouraria’s residents. Mouraria is also considered a safe area nowadays: both locals and tourists walk in the streets even in late hours. There is also a sense of community in Mouraria, which adds to the pleasant, village like feeling of the area. For families with kids, international schools are available within ten kilometres distance. Due to Mouraria’s central location and good connections these are easy to reach. This also applies to higher education: there are several universities, private and public, close to Mouraria. While Mouraria itself is suitable for pleasant walks, there is a park, Cerca da Graça, right next to the neighbourhood. There are facilities for outdoor exercising and you often see families playing different kinds of outdoor games there. Joggers appreciate the proximity of the riverside, and Lumiar’s golf court is less than ten kilometres away. Those who enjoy surfing or other water sports are also well located in Mouraria: for example the vast Carcavelos beach is only twenty kilometres away. Mouraria is also known as a lively and constantly evolving neighborhood. 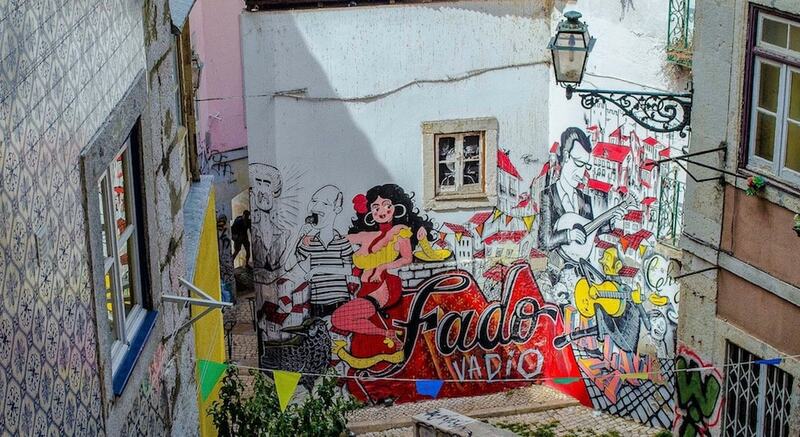 You can find an excellent wine bar next to a traditional corner shop, or a modern art gallery next to a fado house. It has managed to become modern without losing its history and roots. Besides fado houses there are also cosy cafés and restaurants in Mouraria. It is also the home of some of the most interesting bars in town where you can hear everything from Brazilian sounds to jazz. Mouraria is the most cosmopolitan of Lisbon’s central areas. This is where lisboetas from other parts of town come shopping for spices or Chinese delicacies. You can also enjoy African and Asian food from different countries in Mouraria’s restaurants. The cosmopolitan vibe is nothing new though: the name of the area refers to the mouros, the muslim inhabitants of Lisbon of centuries ago. Mouraria area has also been a place of trade since ancient times. While Mouraria is known for its traditional trade and easy going, youthful vibe, there are also top notch restaurants and bars around. Martim Moniz neighbourhood’s Topo bar is an excellent spot for a great cocktail. It is located at the top of a shopping centre, with stunning views over Lisbons old quarters and the São Jorge castle. Cocktail lovers and shoppers can also head to Avenida de Liberdade, half an hour walk from Mouraria. There you’ll find the charming Red Frog bar, chosen as one of the world’s best bars. Right next to it there are some of the most exclusive shops in Lisbon, dedicated to well known international fashion brands. Culinarists will find themselves often in Chiado and Príncipe Real neighbourhoods, also within walking distance from Mouraria. Portugal’s most renowned chefs, Henrique Sá Pessoa and José Avillez have restaurants in these areas, and there are also excellent cocktail lounges and wine bars in these parts of Lisbon. Especially Príncipe Real is great for shopping too. You can find small top quality Portuguese and other European brands sold in beautiful shops. Living in a Mouraria property means that you are surrounded by the best of Lisbon, be it traditional music, cosmopolitan cultural experiences and exquisite restaurants. And as the city has more sunny days than any other European cities, there are many chances to enjoy the Atlantic coast’s beaches too!